Our regular 8 week courses in Improvisation and Stand Up (Foundation Improv, Intermediate Improv and Beginning Stand Up Comedy) will return 6th October 2018. Places are already filling up so get in touch ASAP to reserve your space! We’ve changed the payment methods for our workshops meaning you can now pay directly through the website – please bear with us as we iron out any kinks in the system! If you can’t wait until October we’re running a couple of short courses in September. We’re running a two day Sketch Writing workshop 1-2nd September. 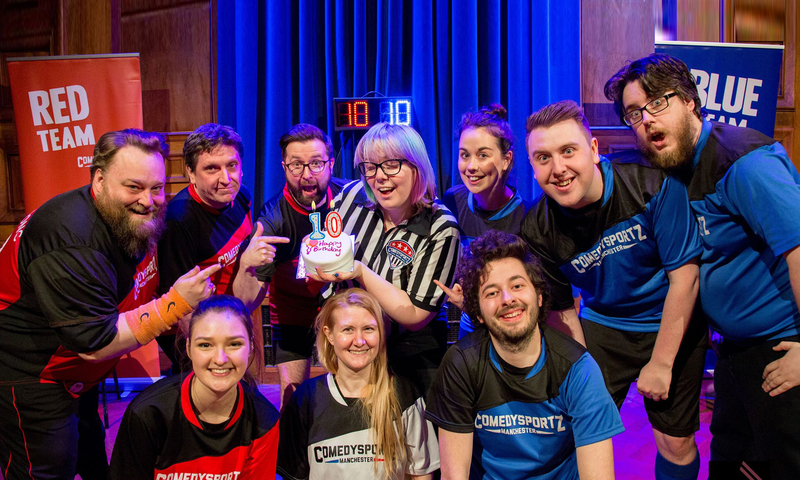 We’re also delighted to be hosting a workshop with Nathan Jansen (iO Chicago, ComedySportz Chicago, Baby Wants Candy) 1st September on Improv Narrative. This is a great opportunity to expand your skills – please note, some previous improv experience necessary. Finally, we’ll be running a short workshop for kids as part of the 2018 Manchester Literature Festival in October. You can find more about these workshops and book spaces here. More information on all of our upcoming workshops can be found on our workshops page!